Summer break started this week at our house and that means more time than normal for my kids! They get their share of hanging out with friends, swimming at the pool and attending camps, but the one thing I have found to be very important during summer is chores. Don’t get me wrong, my kids don’t just do chores in the summer, they do them year round. In the summer, though, they have a heftier list of chores. Over the years, I have found that summer is a great time for me to spend teaching the kids how to do some of the household chores they haven’t done during the school year and that they are old enough to do since the previous summer. Some examples of things we are going to work on this year are: doing the laundry (before this summer, they just folded and put away), more cooking skills, using the lawn edger and a few more other odds and ends. One thing I have noticed from many families whose kids are heavy into sports is that they use the excuse of “the kids are too busy” to assign them chores. 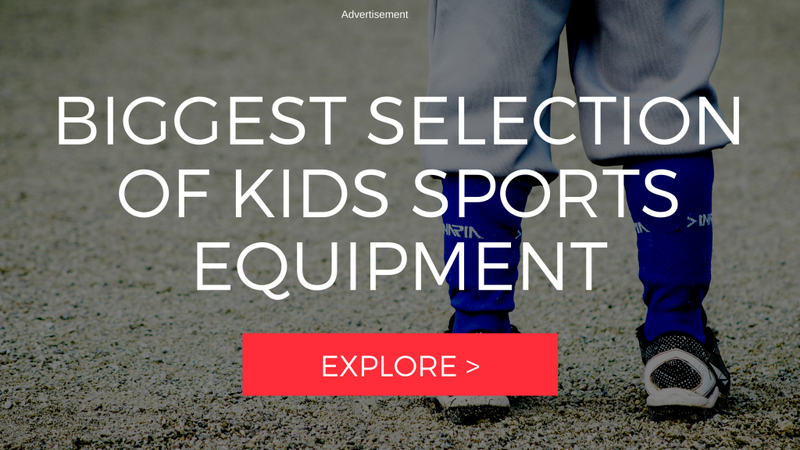 As a sports mom, I know just HOW busy these kids are! But I truly feel it’s important to still make sure my kids are helping out around the house. Doing chores teaches them so many things, that I can’t afford to not give my kids chores. Kids learn perseverance, good habits, responsibility and self-motivation. The younger you start chores with your kids the better! These chores will become a part of their daily routine and be a habit that they will carry with them into adulthood. What better way could you teach your kids from a young age self-sufficiency? A few months back, over on my other blog, I shared a chore system that works well for our family. It’s just a simple chore chart where my kids earn money on a daily basis. 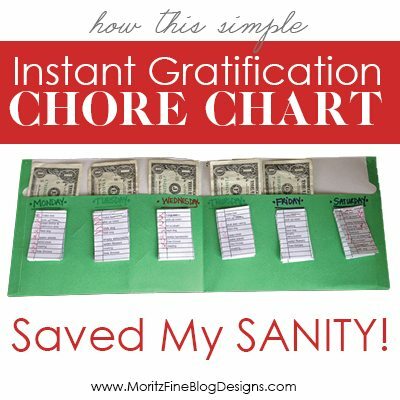 I titled the chore chart “Instant Gratification” because they can grab the dollar they earned for the day when their chores are done….but truly, it’s not instant gratification because they don’t actually get their money for 2 weeks. Let me tell you, the controversy over the name of the chore chart hit the roof! Feel free to read the comments on the post here. Everyone has an opinion. I think it’s great that we can all share our opinions and take bits and pieces from what each person shares! My hope is that we parents don’t make excuses for our sports kids and skip giving them chores. Take the time to instill a work ethic both on and off the field. Feel free to use the chore system I created or a different one that fits your family best! 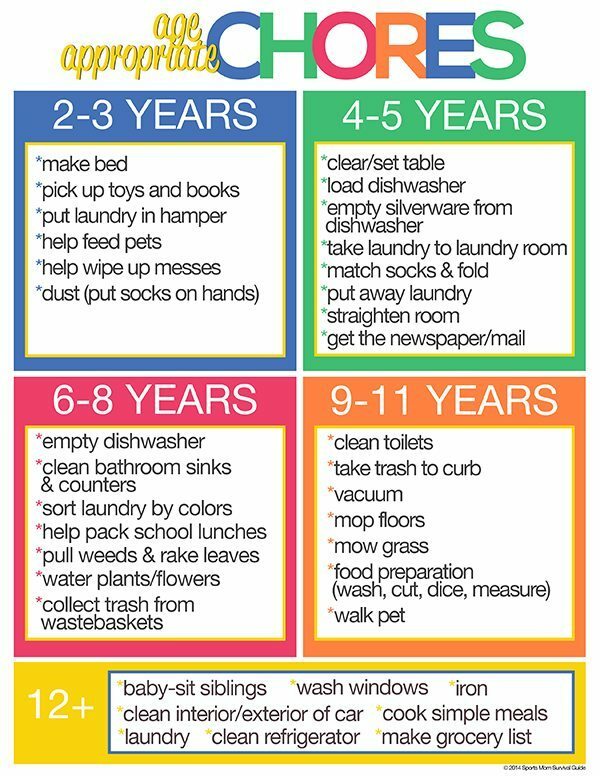 Do you ever have trouble deciding what chores to have your kids do at home? 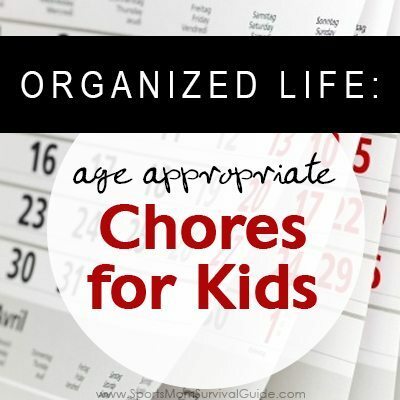 We created an age appropriate list to help you assign chores to your kids this summer. Feel free to print it out, hang it on your fridge or add it to your family planning binder. You can grab the download link below.